By the time John Agard entered the stage to close the event the atmosphere was electric! Inspirational poets delivered some evocative readings of their works to our year 11 students at The Palace Theatre in Manchester. The Poetry Live event featured giants of the world of poetry. 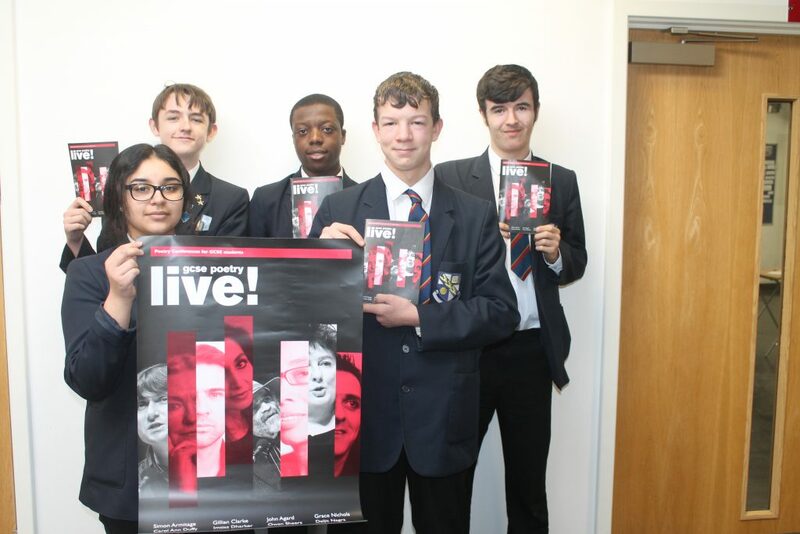 Gillian Clarke, Carol Ann Duffy, Daljit Nagra, Simon Armitage, Imtiaz Dharker, Owen Sheers and finally John Agard all invigorated the students with their compositions. The purpose of the event was to inform and inspire students who are studying the works of most of these poets for GCSE. The poet’s readings were interspersed with examiner sessions, were useful tips provided students with model, in depth, answers to GCSE questions. This event will leave lasting impression on our students because it championed the joy and excitement of poetry!